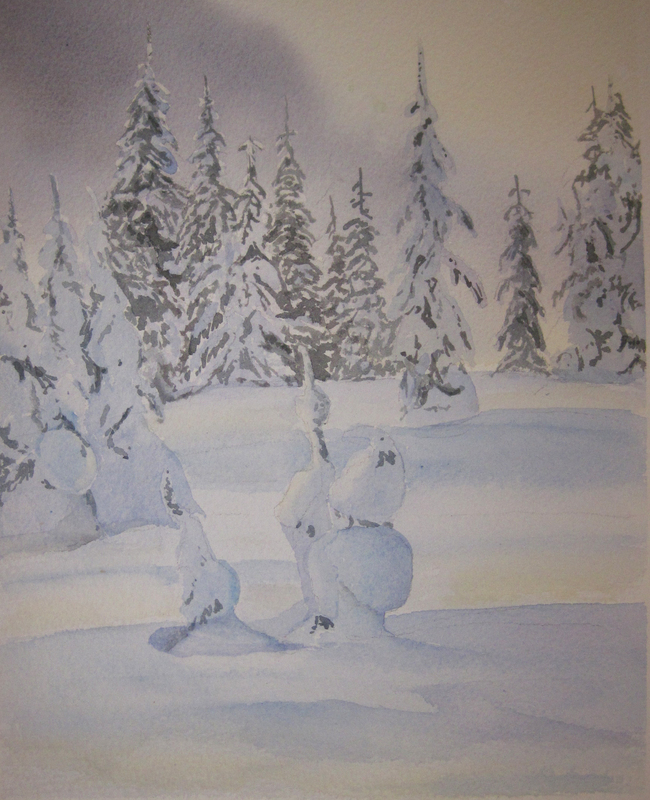 Okay….I’m good for ONE MORE winter painting. That will probably be it for the season. The snow is gone, the spring peepers are chirping but I’m still not quite ready to let the ski season go. 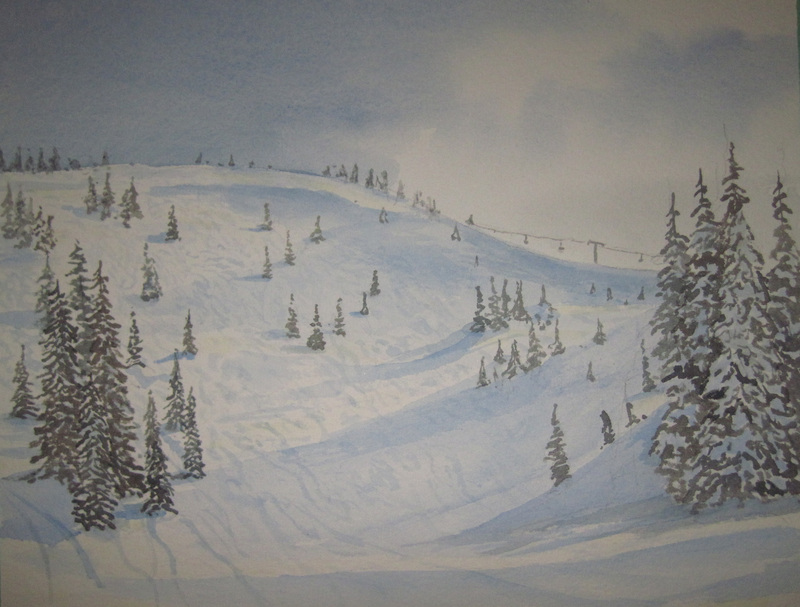 I know I have a couple of ski paintings left in me this year, so that’s what painted tonight. 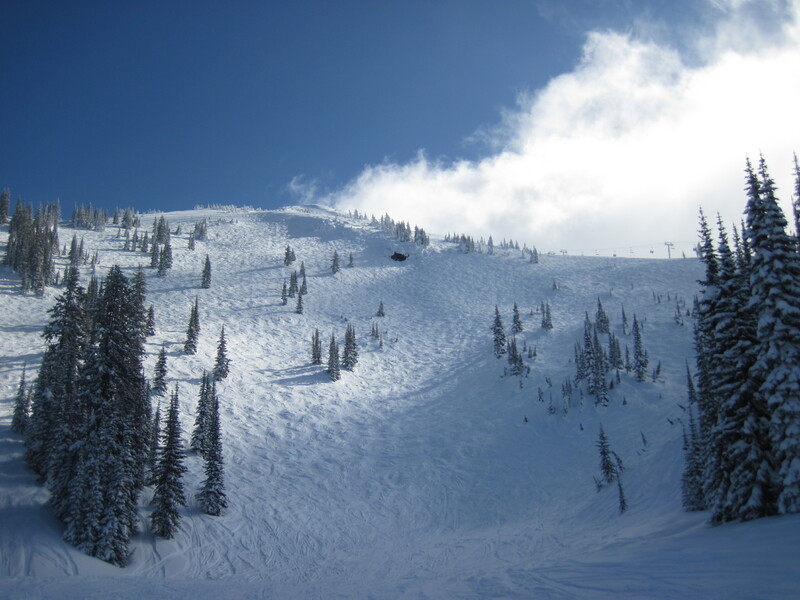 This is called “Vertigo” and it’s one of my favorite ski runs at Revelstoke. It’s just steep enough, and just bumpy enough to be interesting. But the snow is soft and friendly, and it’s just FUN to go down. On this trip, Friar’s Mom joined me for a day, and we went up and down Vertigo like yoyo’s. It felt good, I could do no wrong. 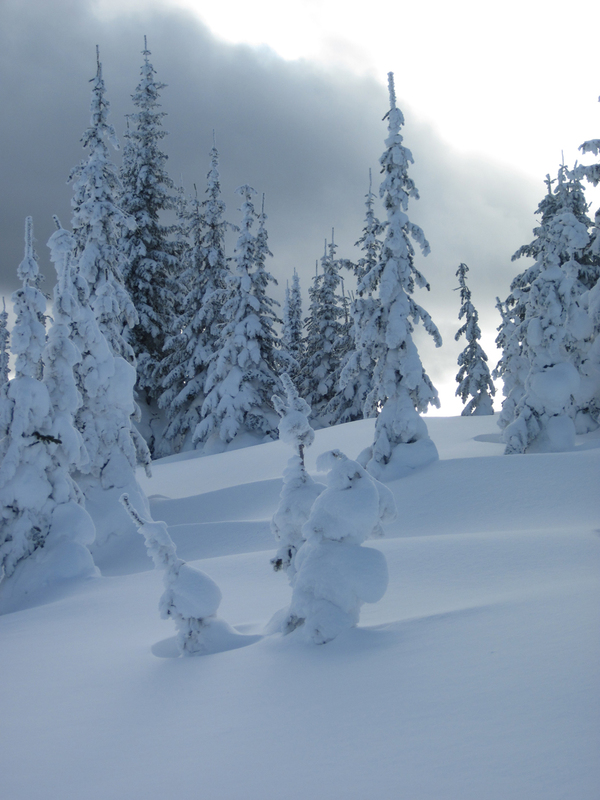 Typically, as a skier, you get maybe a handful of runs like this in a season, where everything is just PERFECT. Where you’ll remember it for the rest of your life. And when it happens, you’re almost crying tears of joy as you go down. As a bonus, on the bottom, a ski instructor has seen us coming down. He was teaching a student, and he complimented me and Friar’s Mom on our technique. He said we provided a “good demo” for his pupil. Wow. To be complimented like this, from an instructor, on top of that. I think I might keep this painting…hold onto it for a while. The memories are just too good. Not much going on last Easter long weekend. Too late for skiing, and too early for fishing. 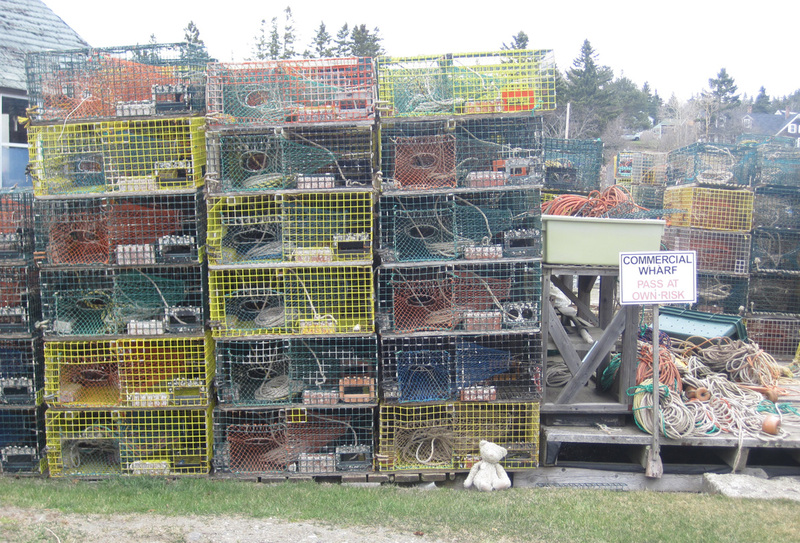 So I decided to take a 2400 km road trip through the Maritimes and New England. 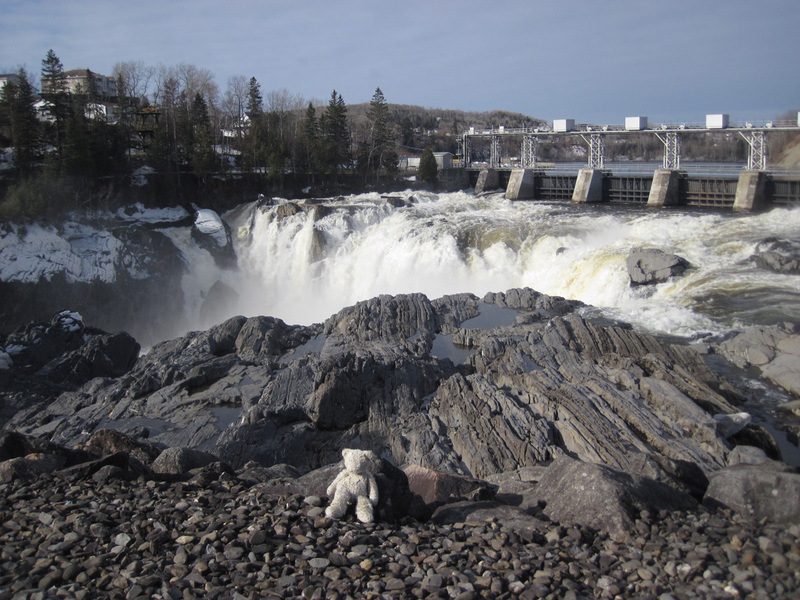 Here’s Junior Bear in St. Louis-du-Ha! 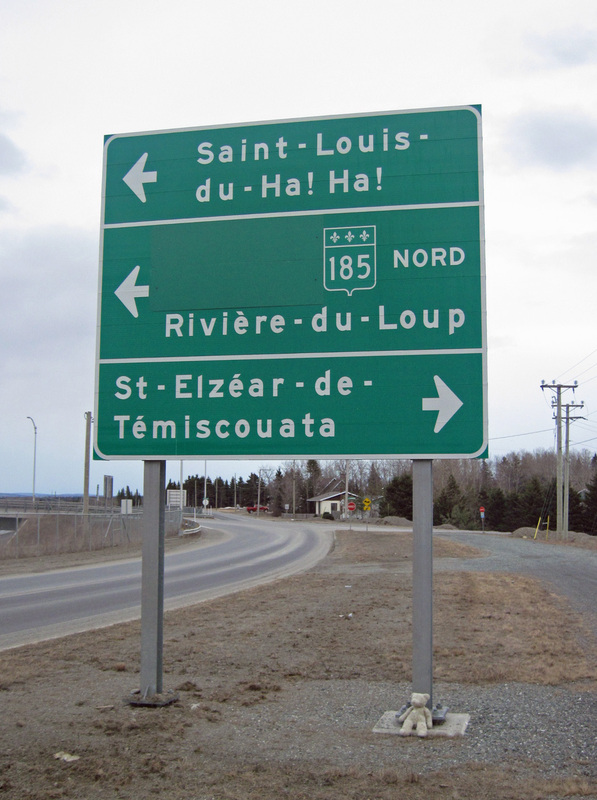 Ha!, near the Quebec/New Brunswick border. Here’s Grand Falls, N.B., where I stayed the first night. Not much going on in this town, except for these water falls. 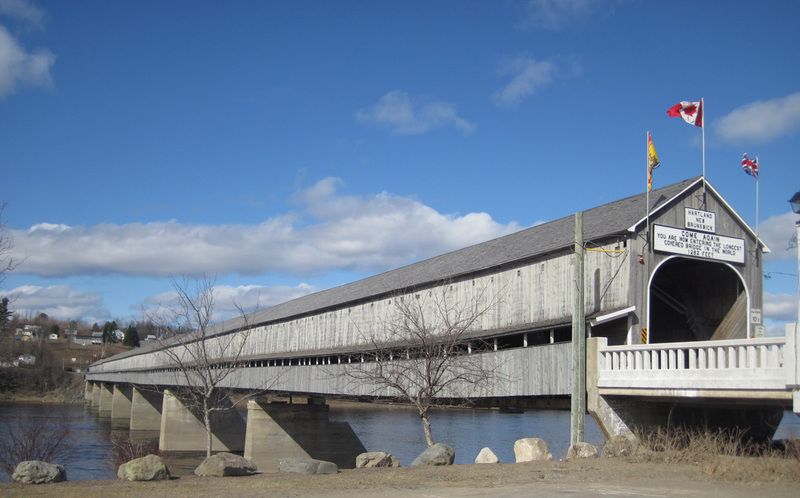 Of course, I had to stop at Hartland, N.B., which has longest covered bridge in the world at 1282 feet. This brought back memories. 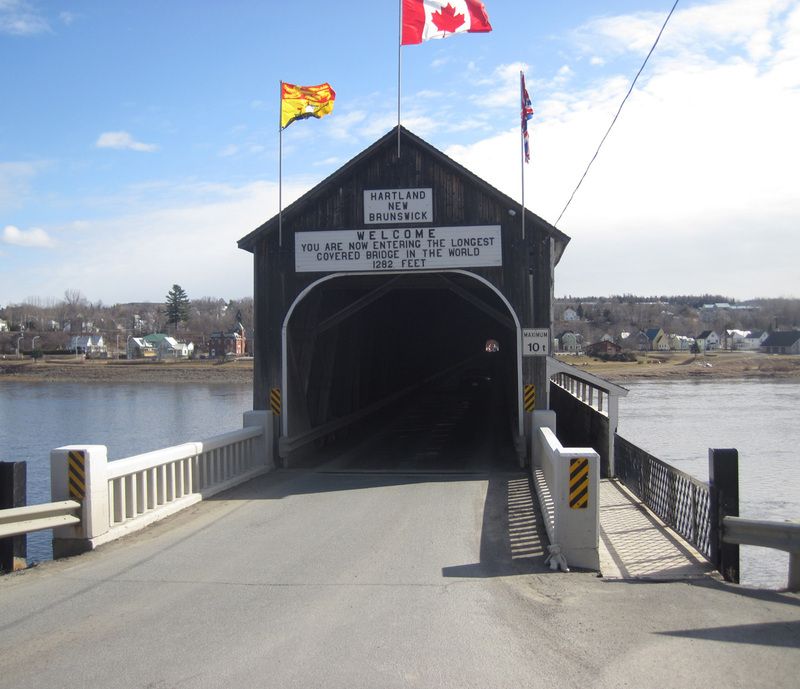 We used to go camping in the Maritimes as a kid, and we’d always stop by Hartland to see the bridge. I think Friar’s Mom even still has a souvenir plate with the bridge, that she uses to serve candies to her screaming grandkids. I think the last time I saw this bridge was about 1977. Nothing’s changed much since then. 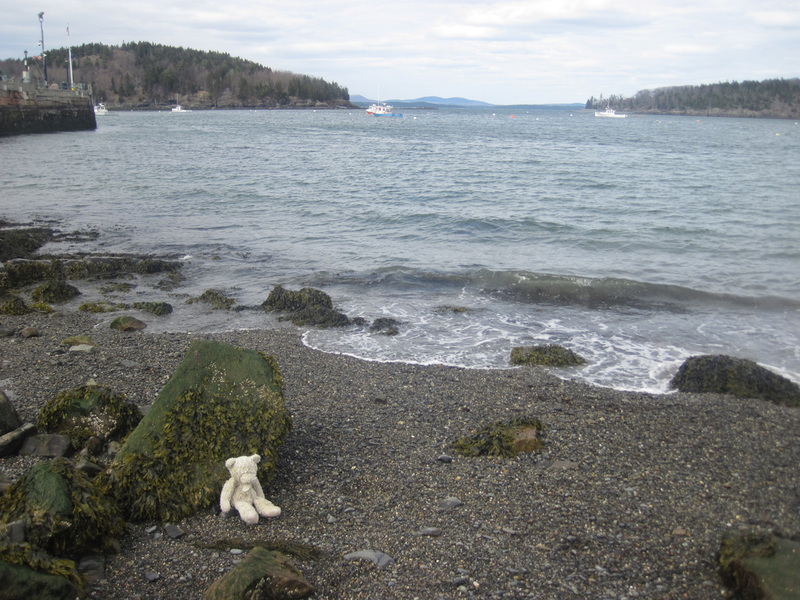 Crossing into Northern Maine, I found it really empty. Nothing but a few small towns and lots of forest. It’s a lot like Northern Ontario. 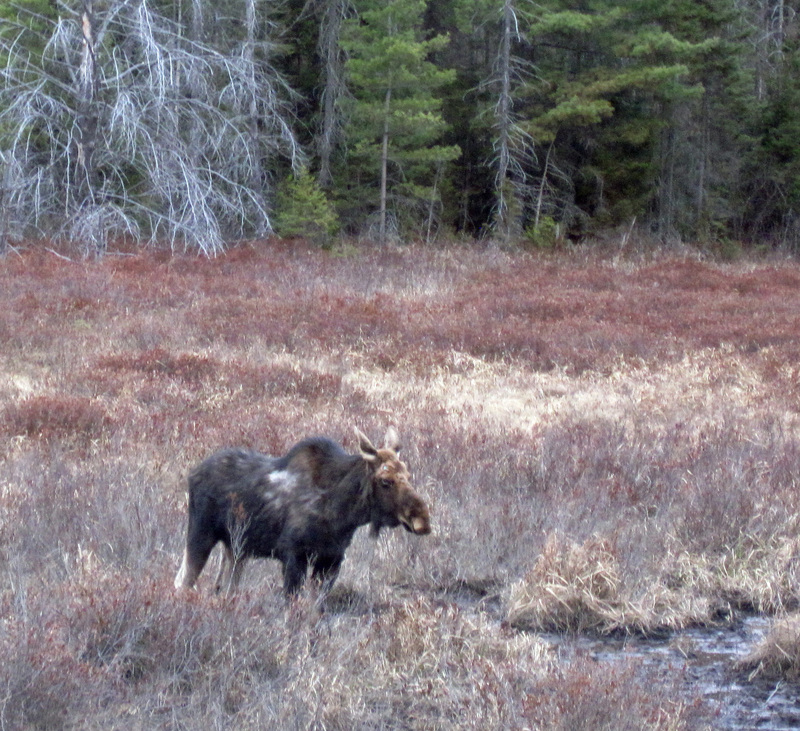 On the Interstate, I drove by some big mountains within spitting distance of Baxter State Park. I’m pretty sure one of these was Mt. 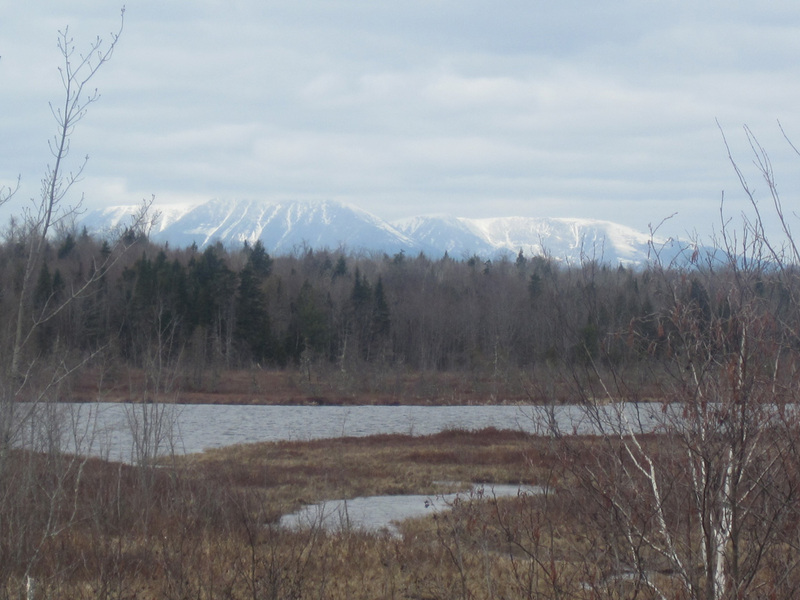 Katahdin, the highest peak in Maine at 5268 feet. Hard to tell which one, because of the clouds. 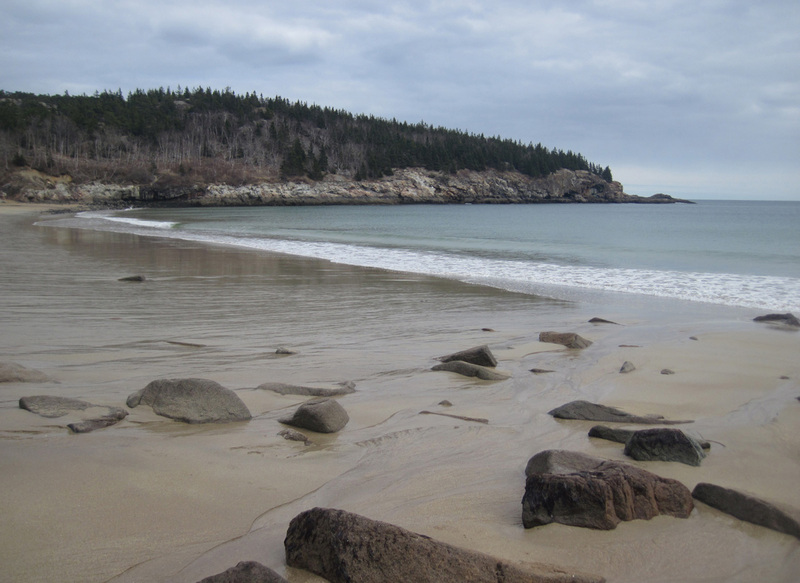 Unlike the northern part, the southern part of Maine is pretty crowded. Pretty much every foot of shoreline is populated. 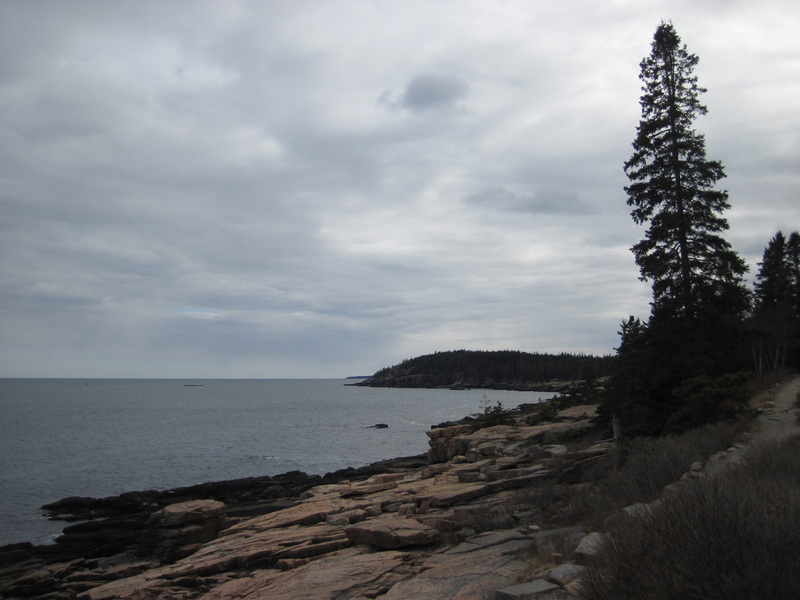 It’s pretty hard to find undeveloped areas, but you can see glimpses of some in Acadia National Park. It’s a teeny-tiny park, only a few miles across, but they have some spectacular scenery. I drove along the U.S. Route No. 1 following the coast. It’s actually not a very scenic road at all. You go through one small town after another, there’s always traffic, and you don’t see much of the ocean. It’s mostly traffic lights, auto-body shops, hotels, strip malls, antique stores, and fast-food outlets. (UGH!! I was NOT impressed). 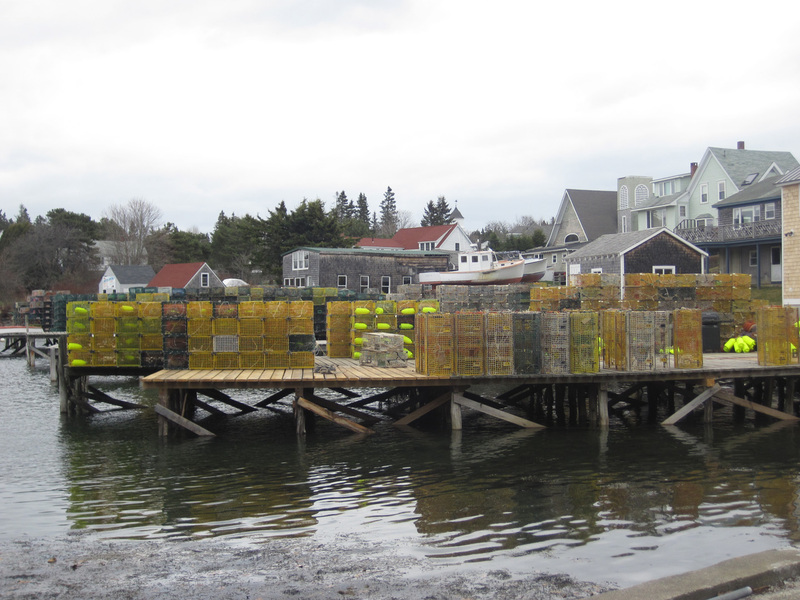 If you head south on one of the side roads, however, you can get away from the crowds, and find some honest-to-goodness villages with boats and lobster traps, where people still earn their living from the sea. 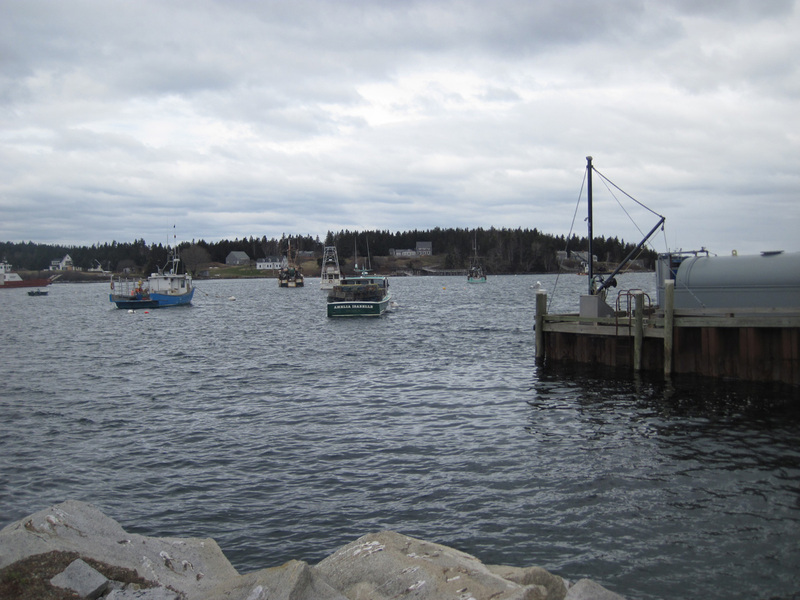 Port Clyde was one of those unspoiled towns I found. 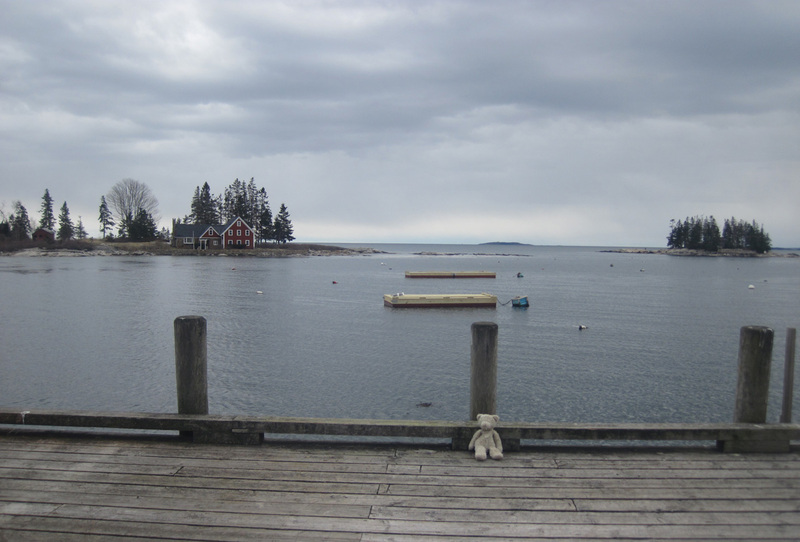 To me, this is the “real Maine”. 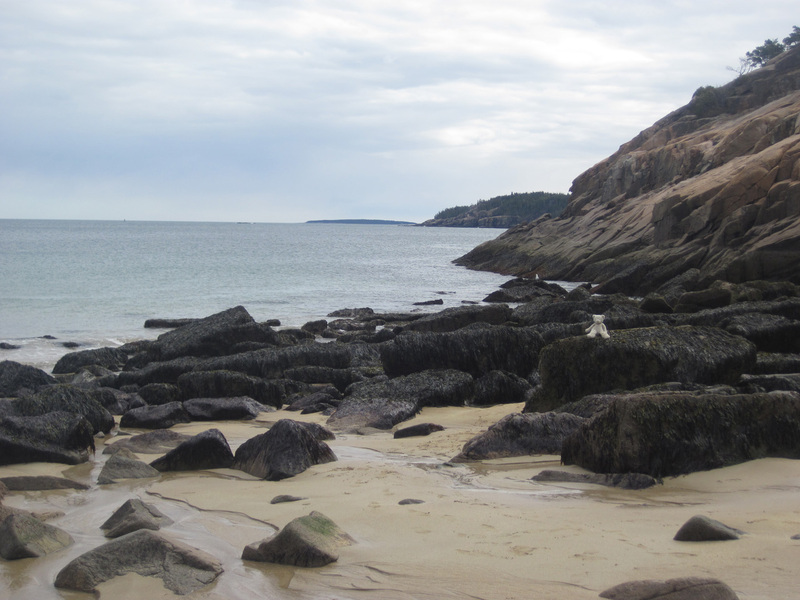 Cape Newagen was another place off the beaten path that I liked. 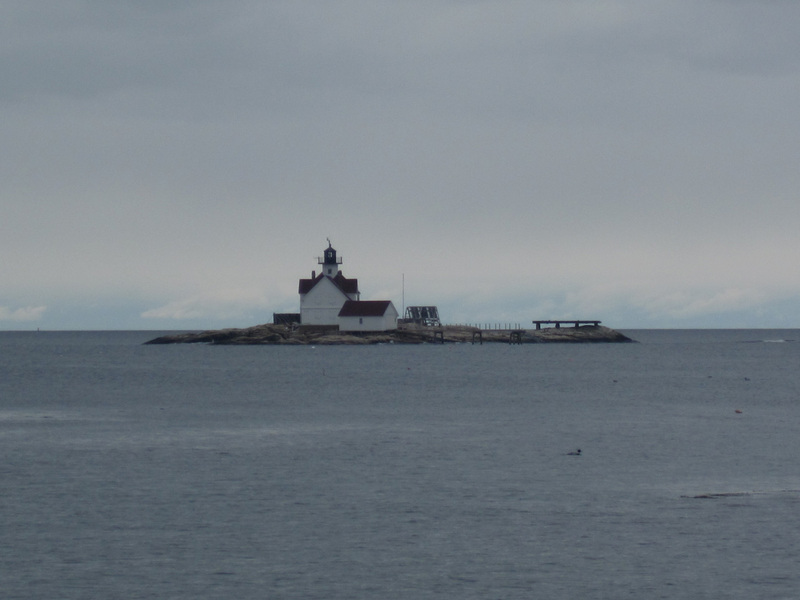 Next, I headed inland to North Conway, N.H. 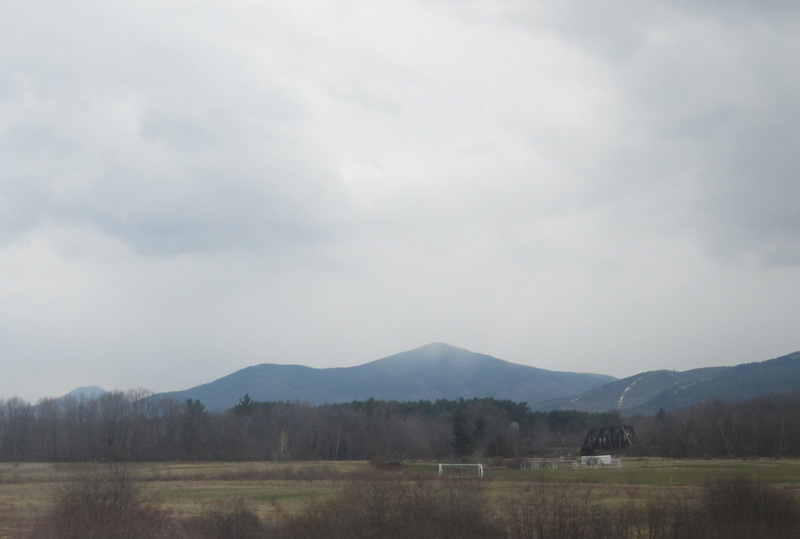 I got a quick photo of Mount Washington from the highway, the highest peak in New England, that’s notorious for its ferocious weather. I was surprised to see it wasnt’ snow-covered. 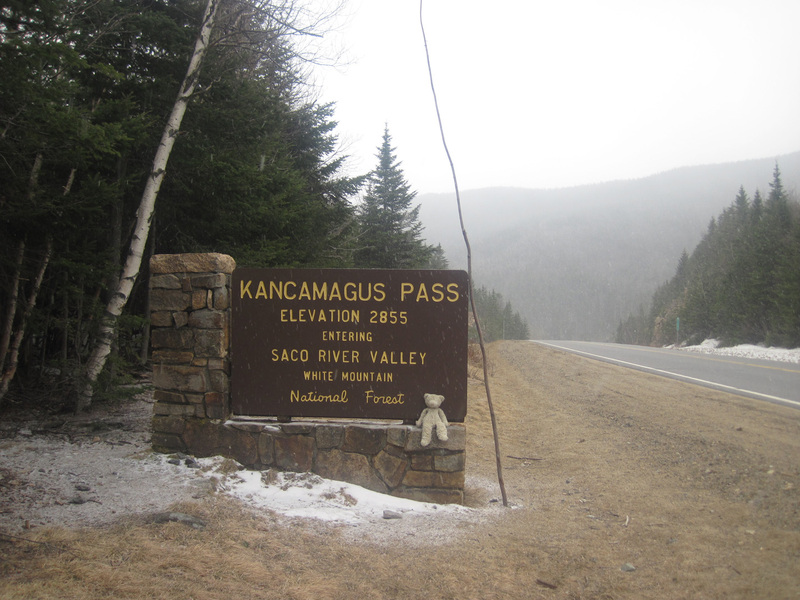 I avoided all the factory outlet stores and fast-food joints of North Conway, and drove along the Kancamagus Highway instead. 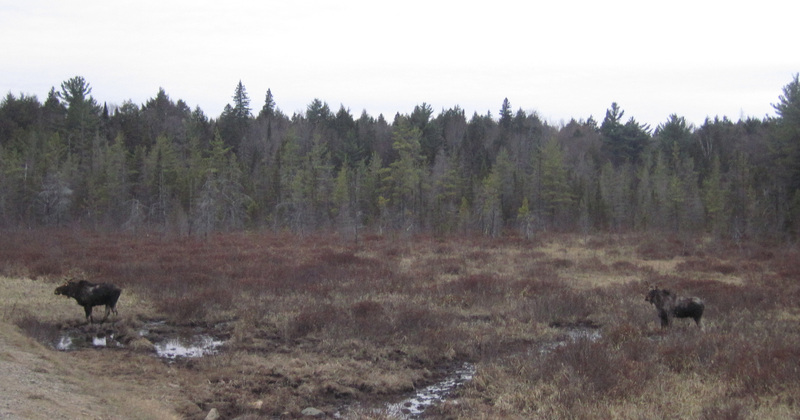 This is a little hidden gem: it’s a long stretch of road that goes through the White Mountains wilderness. There are no gas stations or trailer parks or motels: nothing but forest, mountains and hiking trails for 26 miles. 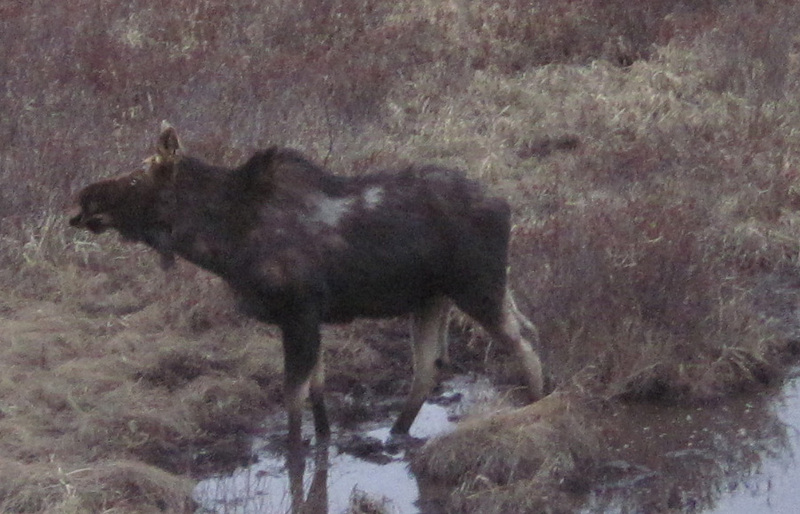 I did manage to see a moose from the side of the road. That’s pretty cool. 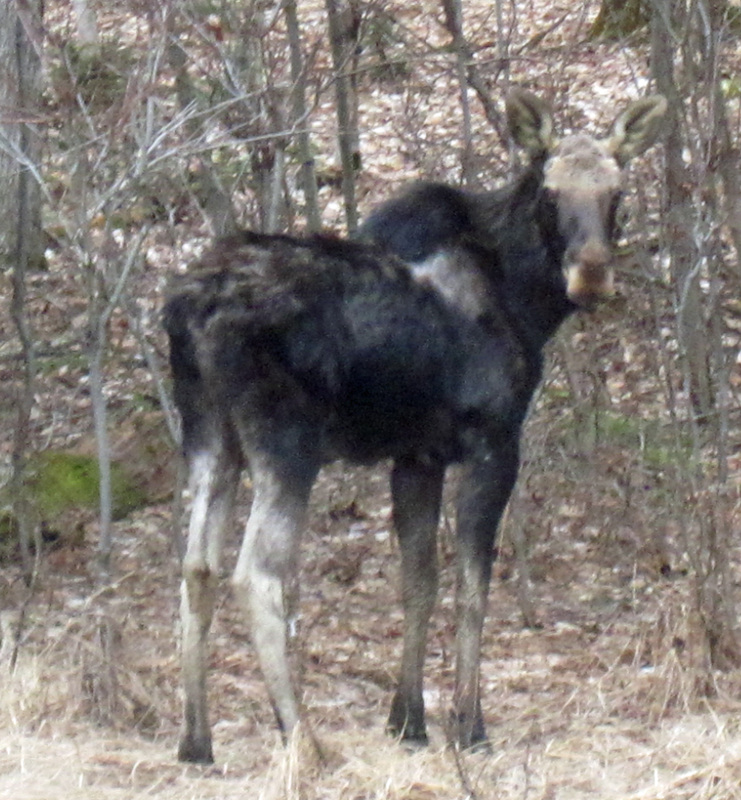 You see them all the time in Ontario, but it’s nice to know these critters are still thriving this far south, in New England. 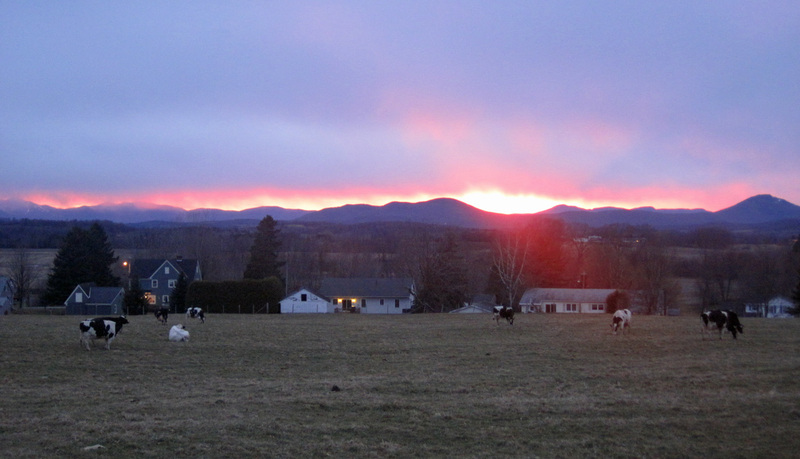 Finally, one last glimpse of the mountains in Vermont, at sunset, just before crossing the border back into Quebec. 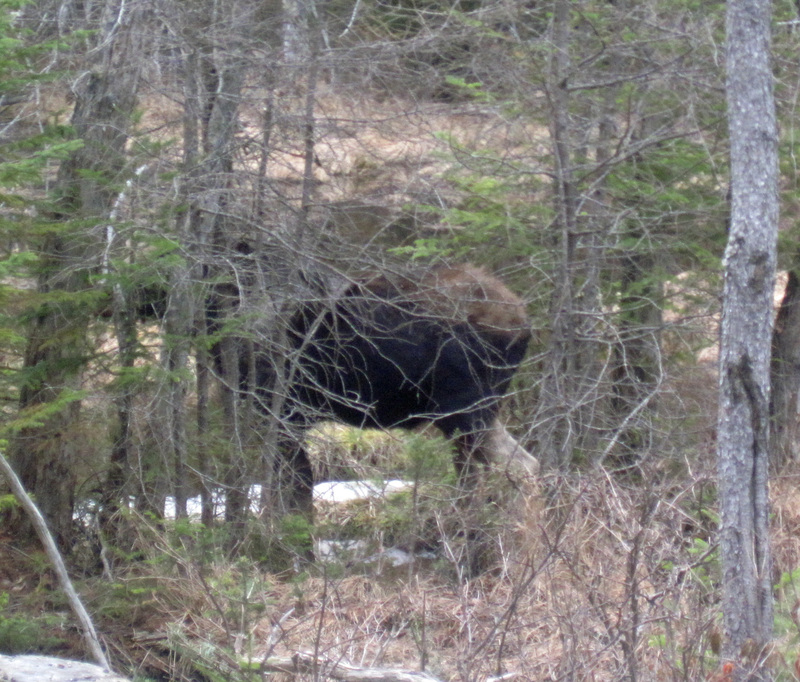 This was around the Jay Peak area, just south of Sherbrooke. After that, it got dark, and once I crossed the border, the mountains quickly disappeared into flat boring farmland. At that point, the best part of the road trip was over, and I motored back to Ontario as quickly as I could, because I still had quite a few more hours to go. What did you guys do after work today? 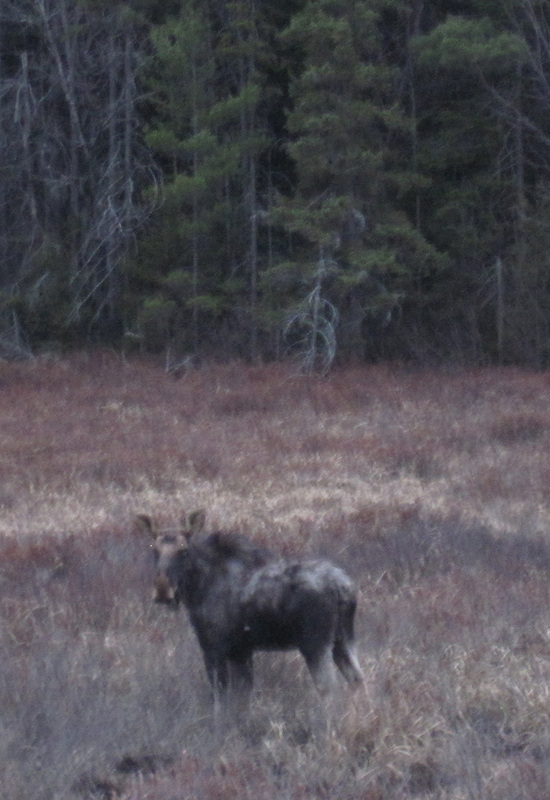 I went straight from the office and got into my car, and did a quick 5 hour road trip to see if I could find a moose on the side of the road. Three of them, in fact. Two of them were together. 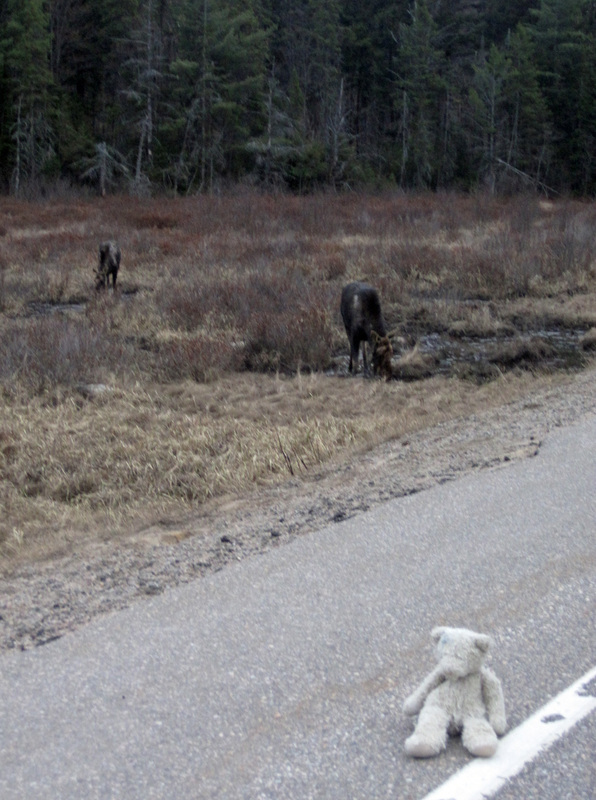 In fact, I got a picture of both of them, with a BEAR. 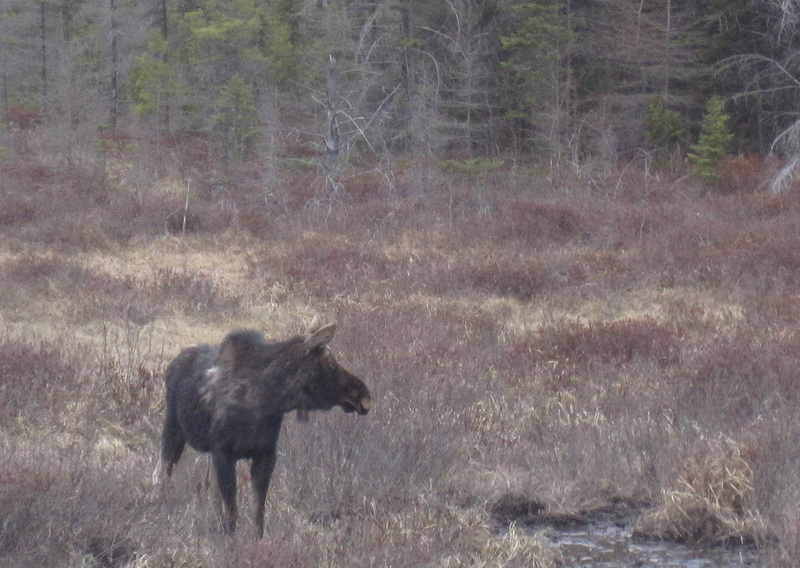 Tags: Junior Bear, moose, ontario, wildlife. 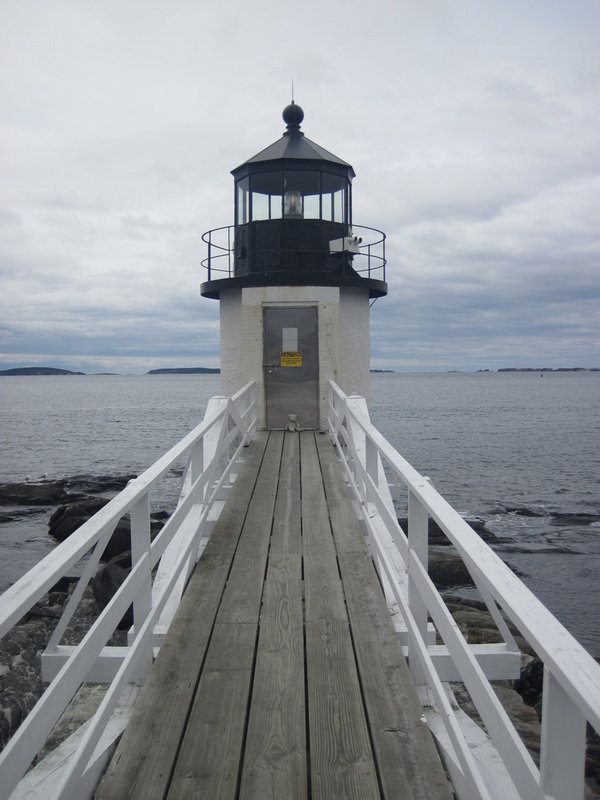 You are currently browsing the The Deep Friar weblog archives for April 2012.